Metoclopramide is used to treat nausea, vomiting, and reflux disease in dogs and cats by normalizing their digestive system function. Metoclopramide requires a prescription and is sold per tablet. When motility (movement) in the stomach is reduced, food pools and creates a sensation of nausea and bloating. In some cases, bile refluxes from the intestine back into the stomach, causing irritation and more nausea. Metoclopramide normalizes stomach contractions so that food and bile can pass in the correct direction. Additionally, metoclopramide is able to cross a biochemical blood-brain barrier to control nausea. Metoclopramide helps the vomiting pet by acting directly on the brain to reduce the sensation of nausea. Do not use a monoamine oxidase inhibitor (MAOI) such as Anipryl, Selegiline, or a Preventic Flea Collar on your pet while giving this medication. Stop giving metoclopramide and contact your veterinarian immediately if your pet has an allergic reaction. Tell your veterinarian if your pet has kidney disease, diabetes, or high blood pressure, if your pet has had recent stomach surgery, or is pregnant or lactating. Metoclopramide is a prescription medication that is not FDA approved for use in veterinary medicine; however, it is a commonly accepted practice for veterinarians to use this medication in dogs and cats. 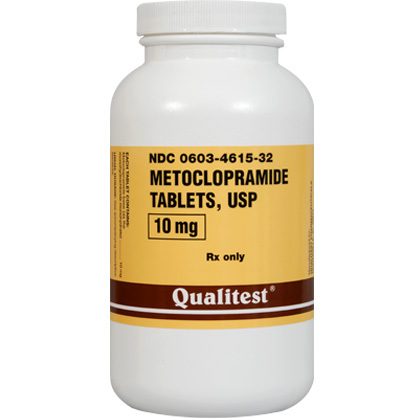 Metoclopramide is available as 5mg and 10mg scored tablets. 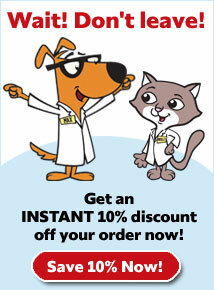 The usual dose for dogs and cats is 0.1-0.2mg/pound every 6-8 hours. Always follow the dosage instructions provided by your veterinarian. Metoclopramide is not for use in animals allergic to it. Call your veterinarian immediately if your pet exhibits uncontrollable movements or muscle spasms of the legs, lips, jaw, tongue, face or other body part, agitation, jitteriness, shortness of breath or insomnia. Metoclopramide may cause drowsiness. Metoclopramide is a gastrointestinal stimulant used in the treatment of nausea, vomiting, and esophageal reflux. It also used to treat post-operative nausea and vomiting and to prevent nausea and vomiting associated with cancer chemotherapy. Metoclopramide may also be used for purposes other than those listed in this guide. 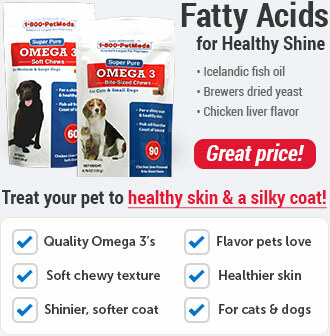 Tell your veterinarian if your pet has kidney disease, diabetes, high blood pressure or recent stomach surgery. Inform your veterinarian if your pet is pregnant or lactating. Metoclopramide is usually given 3 or 4 times a day. Give each dose with plenty of water. Follow your veterinarian's instructions. If you do not understand the directions ask the pharmacist or veterinarian to explain them to you. Store metoclopramide at room temperature away from moisture and heat. Keep this medication away from children and pets. Seek emergency veterinary medical treatment. Symptoms of overdose may include drowsiness, confusion, and uncontrollable movements of the legs, face and tongue, muscle spasm of the neck, tremor, irritability and agitation. 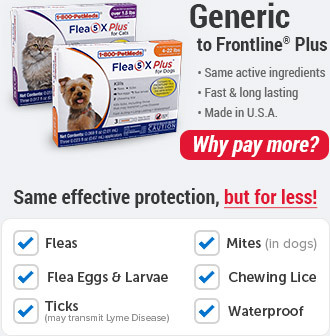 Do not use Preventic Flea Collar on your pet while giving this medication. 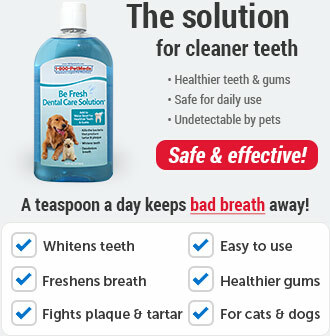 Stop giving metoclopramide and contact your veterinarian immediately if your pet has an allergic reaction (difficulty breathing; swelling of the lips, tongue, face; and hives), uncontrollable spasms of the legs, lips, jaw, tongue, face or other body part, anxiety, agitation, insomnia, depression, yellowing of the skin or eyes, seizures. Other less serious side effects that may occur include nausea or diarrhea, dizziness, drowsiness, confusion, fluid retention, increased urination. Continue to give the medication and contact your veterinarian. Before giving metoclopramide, tell your veterinarian if your pet is being given an MAOI such as selegiline or Anipryl (within the last 14 days), digoxin, cyclosporine, tetracycline, insulin, a narcotic pain reliever or anticholinergic or antispasmodic medications such as Bentyl (dicyclomine). Also tell your veterinarian of any other medications you are giving that may cause drowsiness such as pain relievers, anxiety medications, muscle relaxants or any other prescription or over the counter medications. Your pharmacist has additional information about metoclopramide written for health professionals that you may read. 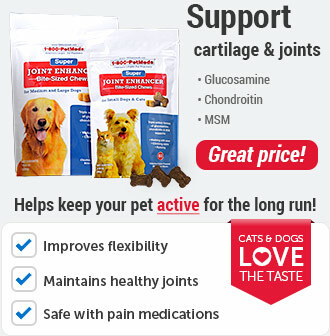 Metoclopramide is a prescription medication used to treat nausea, vomiting, and reflux disease in dogs and cats. Metoclopramide is also used to treat post-operative nausea and vomiting and to prevent nausea and vomiting associated with cancer chemotherapy. Give each dose with plenty of water. 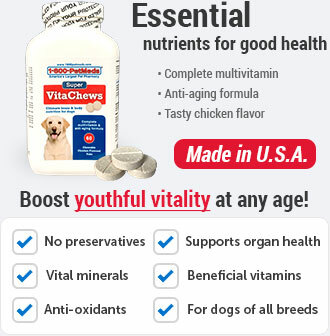 Give exactly as directed by your veterinarian. Other Ingredients: Anhydrous lactose, Magnesium Stearate, Povidone, Pregelatinized Starch, Sodium Starch Glycolate, D&C Yellow #10, and FD&C Blue #1.